Altogether ok for starting a trip in Mexiko ... Hostel Cuija is okay for just staying one or two days. It is really safe, the district is quite okay. The hostel is comfortable, but offers absolutely no luxury, the breakfast is rather spartan. The woman at the reception only spoke Spanish. You can find ir here in Hostel Cuija Coyoacan. Few minutes away from great touristic places like Frida Kahlo house, Diego Rivera's, important churches etc. Seconds away from all the fun places such as great restaurants, bars, malls and all the bohemian atmosphere characteristic of Coyoacan and also located in a great zone to move around the city trough metro, touristic-bus, taxis and more!!! In Hostel Cuija Coyoacan you will find a warm and kind dealing that distinguishes us, offering you unparalleled services and hospitality. 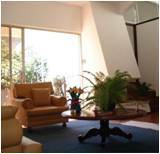 Clean, sure and entertaining; we offer the best facilities and the best atmosphere so that you can feel always at home! Here we all strain to make your trip unforgettable! ; we aim to make your stay the best one ever! With this intention, we can go for you to the airport or any bus station! Just mail us your information within two days in advance! 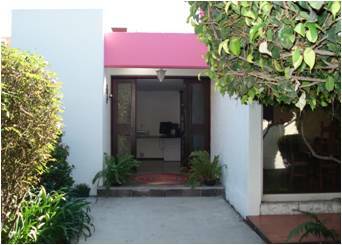 They are wide and open spaces, with a beautiful window that takes you into the garden. With comfortable and clean beds, air conditioner, lockers, etc A perfect place to rest after a day of walking! 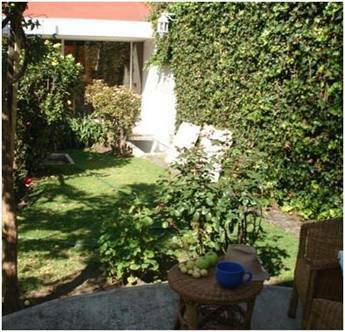 We are located few minutes away the metro station viveros green line 3, or the metro station coyoacan. You just have to walk 2 or 3 blocks and there you will find Berlin Street # 268, a pink house with a lizard in the wall. Also you can take the touristic stop of Frida Kahlo museum; we are just in the parallel street behind. Or you can take a taxi! Everyone knows were Berlin is; between the crossing streets of Guerrero and Aldama. subway: Coyoacan station or Viveros station.